Grinding through pain, on our way to super-human strength and size we often forget about our health. No pain, no gain – right? As tough as it sounds, ignoring pain and being reckless may be the quickest way to impress your surgeon rather than your fellow lifters. For most, building a jaw-dropping physique is a marathon; it takes years of training, years during which your elbows, knees, lower bac and shoulders all get a fair share of the beating. In the long run, endurance to this self-inflicted punishment might prove the most important factor in reaching your peak. After all, a decade’s worth of injury-free workouts will bring more gains than a stunt-man style blitz following the “glory is eternal, physio is cheap” motto. Without a doubt, warming-up is a number one tool for injury prevention. Warm-ups should reassemble actual training and that static stretching before exercises reduces the stores of elastic energy in the muscles and tendons, leading to temporary loss of strength. Prepare the body for the weight lifting session with a blend of aerobics, stretches and few lighter sets of each exercise to increase the blood-flow to the muscles and raises their temperature causing greater pliability – the muscles ability to stretch and contract without tearing or pulling. Furthermore, a few lighter sets of each exercise will stimulate the nervous system, allowing you to recruit more motor units when it comes to heavy working sets.. Proper execution of exercises is the best guarantee for safety. However, this does not mean that every single exercise in your repertoire needs to be performed slowly, in full range of motion… and using pink dumbbells. For instance in some movements, a full range of motion can bring more harm than good. Every so often, purposeful cheating or form which could be considered as “sloppy” can help to shock your muscles and bust a plateau. Nevertheless, beginners should stick to text-book-like exercise execution. Hiring a knowledgeable personal trainer will save you the time consuming trial and error. A year or longer of training behind your belt should allow you to distinguish when pushing through pain will result in making progress from when it will likely result in an injury – until then, keep it simple. TIP: Consider changing your training programme regularly. The idea is that repeating the same movement pattern over and over again is more likely to cause an overuse injury. This can be prevented even with small alterations to your training regime, such as swapping cable attachment, using different grip-width or stance. No, I do not mean training in sunglasses and a baseball cap – on the contrary, these can lead to facial injuries in a few less tolerant back-alley gyms. However, elbow and knee sleeves as well as neoprene pads are very cost effective accessories which help to keep the joints warm, promoting synovial fluid secretion and joint lubrication, without altering the movement mechanics. Worn during the heaviest lifts, it will help to reduce the spine load by increasing the intra-abdominal pressure and stabilising the torso; reducing the risk of lower-back injury. Allows you to lift heavier weights as the straps store the elastic energy during the eccentric phase of the movement (lowering weight down) and release it on the concentric phase – working similarly to a spring. This of course is of great benefit in power-lifting and may be of use in hypertrophy programmes when heavier weights can be necessary. Often referred to as poor man’s massage therapist, foam rollers allow you to perform cost-effective self- myofascial release. Fascia is a thin, web-like connective tissue which wraps around most structures in human body, holding it in place. Among many causes, overuse and trauma induced by training are believed to cause fascial restriction; reducing blood flow to the muscles, causing pain and tension. Foam rolling is thought to release this pressure by targeting the sore points, referred as “trigger points” or “knots”. In practice, this means using your bodyweight to apply pressure and slowly rolling over a sore muscle for few minutes. Voilà! Try foam rolling at the end of your training session or on your days off to reduce DOMS (Delayed Onset Muscle Soreness). Contrary to popular belief, tendons and ligaments (joints) do get stronger with weight training and recent research shows that joint cartilage strains due to lifting cause functional adaptation; thickening. In other words, progressive weight training makes your joints stronger in pair with your muscles. Being serious about your training often means pushing yourself to the limit; crossing the line of health benefits and entering the zone of self-inflicted abuse. That is why investing in a joint care supplement might be a good idea. Oral supplementation aims to increase the concentration of these substances in the join, preventing the cartilage loss – stimulating cartilage synthesis and inhibiting cartilage breakdown, thus reducing pain and swelling, allowing greater mobility! Every sport taken to an extreme level may pose more injury risks than health benefits and weight-training is no different in this respect. It is important to be reasonable in your training regime, always warming-up, executing exercises safely and vary followed training programmes. 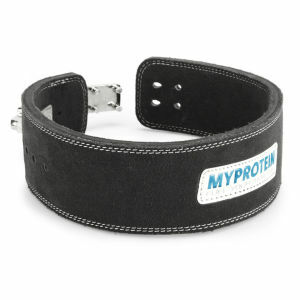 Making sure to wear weight-lifting belt on heavy lifts and taking care of the joints by keeping them warm with compressive wear or sleeves, also not abusing elbow and knees straps. Outside the gym soft tissue recovery can be aid with in-expensive foam rolling and joint health can be supported with chondroitin and glucosamine. Finally, remember that building a perfect physique is a marathon – do not allow yourself to drop out of the race!